Gil Shaham (b. 1971) is an American-born violinist who studied at the Juilliard School of Music. He has performed and recorded widely since 1989. 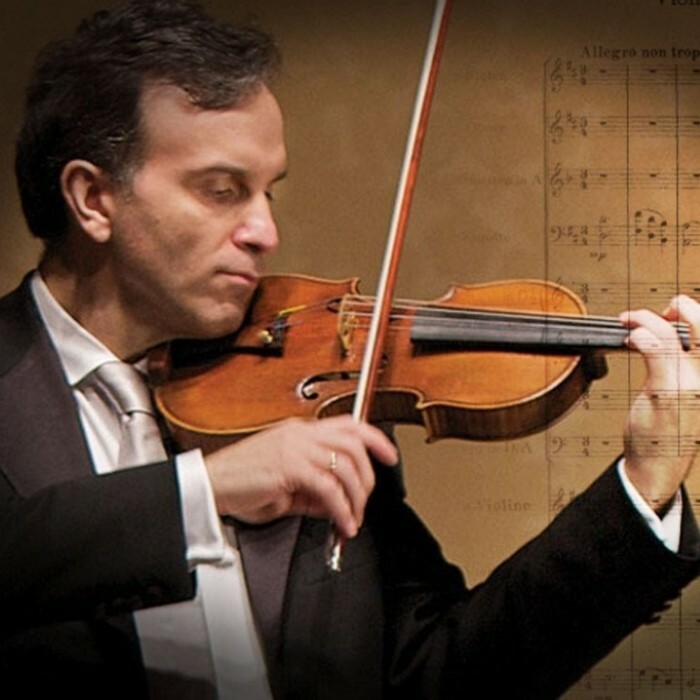 Gil Shaham was born in Urbana, Illinois while his parents, Israeli scientists, were on an academic fellowship at the University of Illinois. His father Jacob Shaham was an astrophysicist, and his mother, Meira Diskin, was a cytogeneticist. His sister is the pianist Orli Shaham. He is a graduate of the Horace Mann School in Riverdale, New York. The family returned to Jerusalem when Gil was two. At the age of seven, Shaham began taking violin lessons from Samuel Bernstein at the Rubin Academy of Music in Jerusalem. In 1980, when Shaham was nine years old, he played for Isaac Stern, Nathan Milstein and Henryk Szeryng, and attended the Aspen Music School in Colorado, studying with Dorothy DeLay (the teacher of many other leading artists, including Itzhak Perlman and Sarah Chang) and Jens Ellerman. Shaham is married to the Australian-born violinist Adele Anthony. They have two children, Elijah and Ella Mei.